Thank you for following my research. It is my sincere hope if you have suffered from fatigue, hair loss, brain fog, weight gain/loss, dry skin, depression, muscle aches, and countless of other symptoms, that your life will be changed for the better after implementing the research I’ve uncovered. It can help you do what most doctors and most clinicians would consider impossible—to put Hashimoto’s into remission. The easiest answer to this question is that I was diagnosed with Hashimoto’s thyroiditis during a routine physical at age 27. As a pharmacist, I was trained about the pathophysiology of diseases, as well as therapeutic treatments. Our professors always stressed lifestyle interventions to reduce the need for medications and to prevent disease progression. People with hypertension were told to eat a low-sodium diet; people with high cholesterol were supposed to reduce their fat intake; Type 2 diabetics could essentially reverse their condition by eating foods with low glycemic indexes and by losing weight. In mild cases of most chronic conditions, we were always taught to recommend lifestyle interventions first, followed by medication therapy if the interventions were unsuccessful or if the patient was not willing to change. In advanced cases, and if the benefits of medications outweighed the risks, the patients would be started on medications in conjunction with lifestyle interventions. We also learned that patients should be monitored as they made progress toward their goals to see if medication therapy was still warranted. Thus, I was confused, as there were no mainstream lifestyle interventions for Hashimoto’s, or any autoimmune conditions, for that matter. The only intervention recommended by endocrinologists—a pharmacological one—is to start taking a supplemental thyroid hormone such as Synthroid®, the #1 prescribed medication in the United States in 2013. While I was prepared to start taking Synthroid® after having a gradual decrease of thyroid hormone production as I aged well into my 30’s, I didn’t feel this medication was appropriate for use in an autoimmune condition. The supplemental hormone did not stop the destruction of the thyroid gland by thyroid antibodies. It simply added more hormone when the thyroid was too damaged to produce it on its own. It was like pouring water into a leaky bucket without plugging up the holes that were causing the leak. Furthermore, I was only 27! I just got married, started my dream job, moved to a house by the beach … this was not right. I am a firm believer in cause and effect, and it did not make sense to me that this disorder just happened out of nowhere. On top of it all, I had been suffering from severe digestive troubles for about one year, was chronically fatigued, and was experiencing profuse hair loss. It seemed unnatural to me to do nothing as a part of my body was being destroyed. It didn’t make sense. Those who know me will attest that I can be quite stubborn when I feel that I have been wronged. Perhaps, I thought to myself, if I could make connections among all of my symptoms, then maybe I could find and treat the cause of my condition and, hopefully, my story will inspire others to do the same. Sometimes we have to be the change we want to happen and hope that the medical establishment will take note and promote further research. Me: a 27-year-old woman, passionate about my career, newly wed, proud owner of an adorable Pomeranian, frugal (yet trendy and stylish), amateur chef, aspiring cosmetic chemist, family oriented, ex-smoker, non-drinker, yoga enthusiast, scrapbook lover, healthcare professional … with Hashimoto’s thyroiditis. What does Hashimoto’s mean to you? To me, it meant losing my hair, feeling exhausted, anxious, cold, and forgetful (a.k.a.the infamous “brain fog”), followed by pain and numbness (carpal tunnel) in both of my arms. To some, Hashimoto’s may mean recurrent miscarriages, an inability to lose weight despite diet and exercise, depression, constipation, and years of frustration. I suspect that my journey with Hashimoto’s, like for many of you, began many years before diagnosis, which in my case was in 2009. Without going into too much detail, the first of the crucial defining moments in my disease development may have started during my undergraduate studies at the University of Illinois. Due to the communal living setting of dormitories (and less than stellar hygiene habits of most college students), I had recurrent strep throat infections and even contracted mononucleosis (mono), a viral infection caused by the Epstein-Barr Virus (EBV), which is implicated in triggering many autoimmune conditions. I received multiple courses of antibiotics as well as flu shots (which may be associated with EBV infections) and started birth control for menstrual cramps. Up until the middle half of my freshman year in college, I used to be an early riser who only needed six to eight hours of sleep. I woke up energetic and ready to face the day each morning. However, after one particularly nasty sore throat, I just could not get enough sleep—no matter what time I went to bed! I once arrived thirty minutes late to an 8 a.m. exam having just woken after sleeping for sixteen hours straight (I had lain down for a quick nap the day before at 4 p.m.). A previously straight-A student, I barely passed my classes that semester. Discouraged, I spent the summer after my freshman year going to bed at 9 p.m. only to wake up exhausted around 1 or 2 p.m. the next day. Within a few months, my need for sleep gradually decreased, however, I felt that I never fully recovered since that time, requiring much more sleep than I had prior to the mono infection. Two years later, during the first year of my pharmacy studies, I needed a series of immunizations in order to be allowed to start my clinical rotations and developed irritable bowel syndrome (IBS) with diarrhea, which seemed to be triggered by soy lecithin. Upon cutting out soy lecithin-containing foods, my symptoms reduced from daily to once or twice per week. Further elimination of red meat eliminated the symptoms. A bout of urinary tract, yeast, and throat infections, as well as acne the following year, led to the use of additional antibiotics. My lifestyle was filled with fast food, late-night study sessions, caffeine, stress, and virtually no time for myself. Towards the end of my fourth year of pharmacy school, I started noticing an onset of anxiety symptoms. I attributed the anxiety to the changes I was undergoing at the time: graduating, taking board exams, getting engaged, moving to a new city, finding a new job … for you, it might be your job, kids, or just life stress in general. The following year, I came down with a terrible viral infection with the hacking, lungs-coming-out kind of a cough. The lack of energy went away after a few days of missed work and lying around at home, but the cough lingered. I would wake up in the middle of the night choking. I often would have uncontrollable fits of coughing while counseling patients at the pharmacy where I worked. One day I was coughing so hard I vomited in a trash can in the bathroom. “Are you pregnant?” one of the clerks asked with an assuming smile. “No, I take pills for that,” I replied. Being a pharmacist, I tried every over-the-counter cough syrup that was available at the drug store where I worked. The cough persisted. I tried Claritin®, Zyrtec®, Allegra®, Flonase®, Albuterol … none of those helped, either! I ended up seeing an allergy specialist after a primary care doctor ran a blood allergy test that showed that—yikes!—I was allergic to dogs! The allergy specialist ran more detailed tests. First was the “itchy skin” test, also known as the scratch test, where a nurse scratches your back with a pin that contains small amounts of allergen and watches for a reaction. It turned out that I was allergic to—wait for it—everything! Horses (which might explain my irrational fear of them), dogs (although I’ve had dogs most of my life, while the cough had just started), trees (all of the ones native to California), and grass (strangely, I was more allergic to grass than I was to histamine). I was started on Singulair®, Xyxal®, and another steroid nasal spray, but they did not help the cough. The second test was called a barium swallow, where you swallow a whole bunch of chalky liquid so the doctor can image your esophagus. (Side effect: white poop!) I received a diagnosis of a small sliding hiatal hernia with spontaneous reflux, and thus gastroesophageal reflux disease (GERD), commonly known as acid reflux. Well, soon after taking the Aciphex®, I actually developed symptoms of GERD. The cough continued. I decided to discontinue the Aciphex® and implemented anti-reflux dietary changes and began to sleep pretty much upright. I also started taking Pepcid®, another medication for reflux, Mylanta®, and drinking ginger tea. I believe that these medications further contributed to a change in gut flora. Later that summer, I traveled to Poland with my family and experienced almost daily food poisoning with severe diarrhea for two weeks—another strike against my gut flora. After my return to the U.S., I began to notice hair loss, but I dismissed it on the belief that it must have been all in my head (no pun intended). A few months later, it was that time of year again to get a full physical. September 2009 Thyroid antibodies = 2000; TSH =7.88; Normal T3 and T4. I was also told I had a possible mitral valve prolapse or murmur that needed to be checked out by a cardiologist. I was in shock and disbelief. I read up about the symptoms of hypothyroidism or an underactive thyroid, and perhaps I had some of them, but the symptoms were so nonspecific that I rationalized all of them away to stress, work, getting older, and everyday life worries. While it was true that I slept for more than twelve hours each night, I had just grown to live with it and decided that it was the new normal for me. Additionally, I had been checked for anemia, thyroid disorders, and other common reasons for fatigue a few years back when living in Arizona and was told everything was fine. I’ve always had cold intolerance, but I attribute that to my low body fat. Weight gain? Not me. Depression? Not at all! This was the happiest I have been in my life. Slow, sluggish? Have you seen me running around at work?? Quite frankly, I was shocked that I had hypothyroidism and not hyperthyroidism. (Did you know 90% to 95% of those that have hypothyroidism actually have Hashimoto’s?!) In the textbooks I had from pharmacy school, people who had underactive thyroids were overweight and sluggish. This clinical picture did not fit me. While I did sleep for more than twelve hours every night, I was very anxious, thin, and tired but wired. If anything, I thought, an overactive thyroid (hyperthyroidism) seemed to fit me better. Endocrinologists were divided on whether to start thyroid hormones or wait in cases of subclinical hypothyroidism. Additionally, most medical websites at the time stated that nothing could be done for the autoimmune destruction of the gland. But I knew in my heart of hearts (or perhaps it was my gut), that waiting around while a part of my body destroyed itself just couldn’t be right. I decided to use the scientific literature review skills gained during courses in pharmacy school to look for any new research or studies about Hashimoto’s. Thyroid supplementation may be used with subclinical hypothyroidism to improve outcomes. Strict adherence to a gluten-free diet normalized subclinical hypothyroidism in most cases. I also decided to search information on medical boards where patients would share their experiences. In my work as a clinical consulting pharmacist, I often examined these types of sites to gain insight into patient perspectives on the effectiveness of various medications. Many times, these sites contained information that had not yet been described in the scientific and mainstream literature and was still experimental. Unfortunately, my insurance did not cover acupuncture, but what did I have to lose? (Other than money, of course.) I decided to give it a shot. I also scheduled appointments with an endocrine specialist, cardiologist, and ob-gyn. I felt 27 going on 72. Over the next three years, I spent an enormous amount of time and money to heal myself. I read various books, spent countless hours researching medical journals, health blogs, and making myself a human guinea pig. I became obsessed with finding the answer, and as those who know me can confirm, I am very stubborn and determined to get my way. When I first became chronically exhausted, I would sleep as long as possible. This was much easier as a college student. Unfortunately, it led to having a less than stellar GPA. But I soon learned to compensate. I would sleep all day and then stay up to study all night to take my exams at 7:30 a.m., come home and sleep more. Other times, when I had to wake up with less than ten hours of sleep, I would often be struck with diarrhea. With the help of a supervising pharmacist, I was able to connect diarrhea to protein shakes that contained soy lecithin. Red meat was also a culprit in causing gastrointestinal distress, as was lack of adequate sleep. I remember saying to my mom, “It’s like I need to sleep so that my body can process everything I ate; when I wake up too early it’s still not processed.” She suspected lactose intolerance. “It can’t be,” I thought. Why would it just start all of a sudden? Fast forward to the future. I started taking Betaine with Pepsin on Friday, February 10, 2012, one capsule with each meal containing protein. I was surprised to wake up the following morning at 8 a.m. without an alarm. I had been dragging myself out of bed after 10 most mornings when I did not have to work. Strangely, I continued to feel energetic all day. I even stayed awake when my usually much more energetic husband took a nap. With a friend’s wedding fast approaching and having barely exercised in the last year, I had also started doing P90X on that same Friday. I wondered if my new energy was due to the exercise or to the enzymes. Happily, I continued both and thought I should test my theory at some point. Meanwhile, things became easier, and all of a sudden, I felt that I had a surplus of time. I felt more at ease going to bed and even had time to meditate—something that I had wanted to do for years! As the week went on, I felt myself having more and more energy and actually became more outgoing and talkative. Additionally, the mental fog was completely lifted, and I could come up with all sorts of clever words quickly. My co-workers commented on my good mood at work. My husband noticed that my sense of humor even improved. I felt like myself again, the self that I had not seen for almost ten years. I woke up one day at 5:17 a.m. and decided to start writing the book: Hashimoto’s Root Cause. I had always loved writing and even took a workshop about writing a novel in 2007. The instructor suggested that working people have the best chance of writing a book by waking up two hours prior to their usual rising time to write. With a full-time job and responsibilities, I thought becoming an author would be impossible, and I gave up that dream. But now, here I was … doing the impossible. Certainly, if I could wake up energized after only six hours of sleep after feeling chronically exhausted for ten years, I could easily overcome Hashimoto’s and then write a book about it! But the journey did not stop there. The energetic feeling only lasted a few weeks, and unfortunately, I have had many setbacks before I found something that worked for me. But I never forgot how great it was to finally feel normal and kept pushing on and fighting. After much perseverance, time, and trial and error, I can finally say that I was successful and was able to put my Hashimoto’s in remission. Through my book, Hashimoto’s the Root Cause, I share my rationale for the root cause and treatment of Hashimoto’s based on what finally worked for me with the hope that it perhaps will also work for you. I also share the process of how I came to find my root cause so that, hopefully, my readers will be inspired to find theirs using a similar methodology. PS. You can also download a free Thyroid Diet Guide, 10 Thyroid friendly recipes, and the Nutrient Depletions and Digestion chapter for free by going to thyroidpharmacist.com/gift. You will also receive occasional updates about new research, resources, giveaways and helpful information. You have articulated so well your journey with the black hole main Street medicine is afraid to address. I have lived it as well, but unfortunately I have bottled so much of it inside of me because I felt people thought I was a hypochondriac. YOU are an encouragement to me. I’m 23 years old and I just found out that I have hashimotos. Although I was stunned by the diagnosis, it makes so much sense as to why I am feeling the way that I am. I am starting this crazy journey to try and heal myself. i just came across this article when googling the hashimotos disease. Come to find out I purchased this book a couple of days ago on amazon! Should be coming in the mail tomorrow! Thank you for all of your helpful information!! Gabriella – Thank you so much for your support. I’m looking forward to hearing your progress on this page. Make sure to take the book slow, take notes, highlight, and establish a baseline when making changes. Great information. Just diagnosed with Hashimoto’s 2 weeks ago and the symptoms were terribly ( palpitations, anxiety, insomnia, loss of appetite, nausea etc..) any suggestions on helping me get through the anxiety of all of this? Your story, the symptoms, the struggle, the not knowing. It’s like reading a page from my own diary. The non-specificness of the thyroid symptoms. Ugh! I’m getting so mad just thinking about it! I am so happy to have found this blog, to know that the struggle and pain and confusion I am having is not in my head — though I wish it wasn’t there at all! Thank you so much for sharing this Dr. Wentz. The proactivity you show in finding your triggers is so inspiring. I know I should be taking my health into my hands much more than I have been but it can be so hard to do. Dealing with these symptoms and hoping the pills will solve it just leaves me worried. I need to investigate my health myself, not wait for the lab results interpreted by misinformed doctors. Karen – thank you for following this page and my research. I am so proud of you for taking control of YOUR health! <3 Here are the tests you need for diagnosis. Most endocrinologists don't run them all so you will have to request them. Make sure to request a copy of your labs as well. That your writing Hashimoto’s the Root Cause was following on your dream seems so magical, especially given that you used that dream to help so many others. It has helped me an so many so much. Thank you so much. I appreciate all the information here. I have been having increasing TSH levels over the last 10 yrs, but still normal. I ask my current PCP to retest my thyroid peroxidase antibodies as they were moderately elevated 14 yrs ago. Most of the symptoms you all describe is how I have been feeling for many years and lately they have become more severe and are more frequent. So, I am desperate to find out what my doc says. Thank you for all the info and sharing. Marisa – Thank you for following this page. Most people feel best with a TSH of around 1 or lower and with a Free T4 and Free T3 in the upper half of the range. It is expected that your TSH will be very suppressed when optimal on NDT medication. How much thyroid replacement therapy is needed is unique and different for each person, so it’s important to work with a functional medicine practitioner or a doctor, who can closely monitor your dosage and your progress.Every six weeks is usually a good schedule for testing your thyroid hormones. I did not see if you have to continue your thyroid replacement medicines, or is your thyroid working optimally? Reading your Journey, was like reading my own Journey, except I got a diagnosis of M.E. quite early on in my illness, it has only been in the last two years, when I was privately tested and saw what was under the bonnet, so to speak. Hashimotos, 6 bacterial infections in my Gut. Negliglble stomach acid, Adrenal fatigue and leaky gut. I am still a working progress, but know now, how crucial,healthy foods play in our recovery. I am still struggling with the increase in weight, which I find particularily hard to deal with as I was always skinny! But know I am on the right path. Loving all your wise information and the meal plans are so good and flavourful. Thank You. Christine – thank you so much for reaching out and sharing your journey! I’m looking forward to seeing your progress here. <3 When it comes to weight gain these are a few things to think about. Let – thank you for reaching out and sharing your journey. I am so sorry your are struggling. <3 I highly recommend that you work with a functional medicine clinician to be a part of your own health care team. It’s an entire medical specialty dedicated to finding and treating underlying root causes and prevent serious chronic disease rather than treating individual disease symptoms. I believe that everyone needs to find a practitioner that will let him/her be a part of the healthcare team. You want someone that can guide you, that will also listen to you and your concerns. You want someone that’s open to thinking outside of the box and who understands that you may not fit in with the standard of care. It's a good idea to ask some standard questions when contacting a new doctor for the first time. Something else to consider is you can work with a functional doctor remotely, via Skype. You could also contact your local pharmacist or compounding pharmacy, who may be able to point you to a local doctor who has a natural functional approach. But I encourage you to keep looking for the right one for you! Here are some resources you might find helpful. So I am researching like crazy. I had Graves disease 20 years ago. Now diagnosed with Hashimoto’s, TPO 394. Im On Levothyroxine 37.5 mcg. TSH is 2.68 on last blood test. I am still exhausted. I’ve started gluten free diet, which has dramatically helped my terrible GI issues. Just started Thiamine for 2 days. Im one girl trying to heal her body and feel like me again. Roxanne – thank you for reaching out. I understand how hard this is. 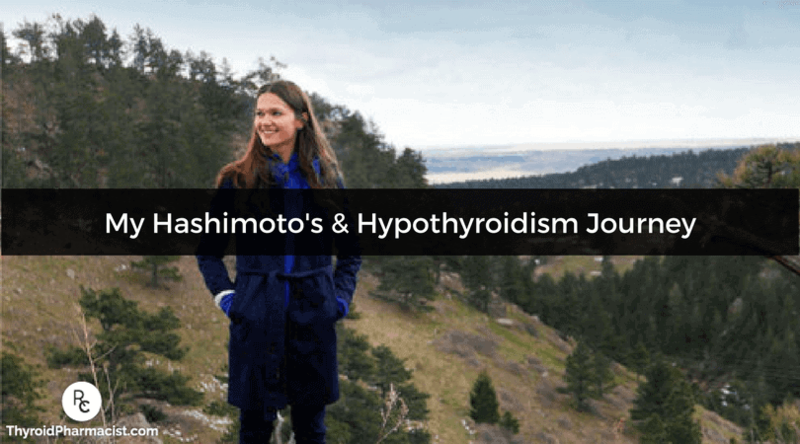 Graves and Hashimoto’s are both autoimmune conditions that affect the thyroid. They are thought to be closely related. Sometimes one turns into the other. The difference is the site of the antibody attack. In Hashimoto’s, the antibodies are found to thyroglobulin (in 80%) and thyroid peroxidase (TPO) enzyme (in 95% of people) Hashimoto’s results in hypothyroidism and is usually treated with Synthroid and replacement hormone. Hi, waiting for results to tell me if I have hypothyroidism/Hashimoto’s. I’m so nervous. I actually had postpartum thyroiditis after having my son 8 years ago. I had some nodules as well. They went away and my TSH and other levels I guess went back to normal. But now my thyroid is enlarged (I keep choking on food, feel like my throat is full) this is what prompted me to see and Endo this week. Though over the years I am always tired, my hair sheds so badly, among other things…did you have a footer or enlarged thyroid? D – thank you for reaching out and sharing your journey. I personally did not present with thyroid nodules. Nodules and goiters are often the result of toxicity and/or the autoimmune process. So, doing interventions to reduce the autoimmune attack on the thyroid, and toxicity, can be helpful to reduce them. Here is an article you may find helpful. Hi, I hope you are still getting your messages. I got Hashimoto’s about 5 years ago. I take Levothyroxine. I also have PTSD from my job. After taking Levothyroxine I stared not feeling well, finally 2 years in my i has chronic thick mucus in my throat, no energy and my other meds slowly stopped working. I think it is the hashimoto’s causing the constant throat clearing mucus. I’m asking doc to try different medication. I’ve seen lots of posts by people lon Levothyroxine with the same issue. Does your book cover this? I’ve had every test done known to humankind and nothing. Im also going to look at your functional doctor link. Im sick and tired of being sick and tired. Your book looks interesting. Does it cover mucus, Levothyroxine problems and effects of other meds? Luka – thank you for reaching out and sharing your journey. I am so sorry you are struggling with this. My heart goes out to you. <3 There are quite a few options for thyroid medications. In my experience, what works for one person may not work for another. If your doctor will not prescribe the medication which you are looking for, ask your local pharmacist for doctors in your area who prescribe the medication you are looking to try. Have you read these articles?